Applicant income must be minimum 3 times the monthly rental amount. Prior eviction or monies owed to another apartment community is an automatic denial. If guarantors are permitted, their income must total 4 times the monthly rental amount. Cats and Dogs. 75 lbs weight limit allowed combined. Breeds restrictions apply. Exotic pets not allowed. Maximum of 2 pets per apartment. 75 lbs weight limit maximum combined. $500 non-refundable pet fee per pet in addition to $15 monthly pet rent per pet. Non-Refundable $125 Application Fee per Applicant. Non-Refundable $350 Administration Fee per Apartment. Security Deposits starting at $300 for a 1 Bedroom, $400 for a 2 Bedroom and $500 for a 3 Bedroom Apartment with approved credit. Residents are responsible for electric, water, sewer, telephone and cable. 4 recent paystubs, tax returns or a verifiable letter from current employer. If the application is not approved but income allows, the qualified applicant may rent a smaller unit individually. Yes, minus any charges for damages or past due rents. Yes, you may go month to month but this option does not lock in your rental rate and the rate could fluctuate monthly. No utilities are included in your lease. 7 to 13 months lease terms. No, but we do have preferred status with a company that can furnish for you and will help you with this process. You may call the leasing office during business hours and leasing will assist you with your request or if after hours you will be connected to on call maintenance should you have an emergency. We also have a resident portal where routine requests may be emailed directly to the maintenance department. Rent is due on the 1st and must be paid on or before the 3rd of each month to avoid a late fee. Late fee will be assessed on the 4th of the month should rent not be paid. Yes, you may set this up through our Resident Portal. Yes, you may pay using our Resident Portal 24 hours a day. Please contact the Management office. No but garages will be available for lease on a first come first served basis. In a designated parking spot. Yes but it cannot be mounted to the building in any fashion. Must be located within your patio or balcony. Satellite addendum must be signed and a $500 deposit must be paid to the leasing office. Yes, we currently have Comcast Cable. Yes, we have a state of the art membership grade fitness center. Yes, we have 2 saltwater swimming pools. Yes, Coconut Creek offers recycling containers upon move in and recycling is picked up during your regular valet service. No, but there is a summer kitchen with 3 large grills adjacent to the Clubhouse pool. They are available on a first come, first served basis. Yes, contact the leasing office for rates. Yes, but residents must restore walls to their original color upon move out or will be charged accordingly. Yes, the leasing office will accept packages for you as long as it doesn't require a signature. The driver will leave you a notice that you have a package at the office. Do you have a list of a Corporate Advantage Program? Yes, please contact the leasing office for more information. 1) 11 unique floorplans to choose from including vertical spas, USB ports in bedrooms, front loading washer dryers and Chefs kitchen. 2) 8,000 sq. ft. Luxe Clubhouse to include an E-lounge, Coffee Bar, Membership grade fitness center and Fitness on Demand. 3) Professional on-site management including 24 hour emergency maintenance. DIRECTIONS: Head north on FL-869 N toward Exit 8 until you reach Exit 18B. Take Exit 18 B to merge onto FL-7 N/US 441 N and continue for about one half mile. Casa Palma will be on your right. In the event of an emergency, please dial 911 first, and then notify Casa Palma Management at 754.212.4120 or at casapalma@ZRSmanagement.com. Come home to the best luxury apartments in Coconut Creek, FL today! 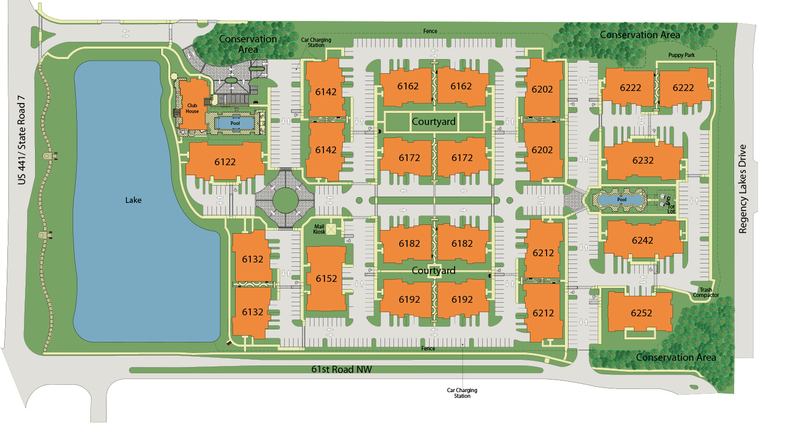 Coconut Creek's premier luxury apartment community is nestled behind a scenic entry lake and opulent clubhouse. Complete with beach-entry saltwater pools, a membership-quality fitness center, a chic community room, and electric car charging stations, our pet-friendly Coconut Creek apartments are where luxury meets convenience. Resort-inspired and all-access, our apartments for rent in Coconut Creek are available with one, two, and three bedrooms garages, and feature hardwood-inspired flooring, chef's kitchens with granite counters and vertical bathroom spas. With easy access to the Sawgrass Expressway and Florida's Turnpike, our pet-friendly apartments in Coconut Creek, FL are only minutes from the best shopping, dining and entertainment in the area. Schedule an appointment with our dedicated staff and discover why Casa Palma offers the best in Coconut Creek, FL apartments!